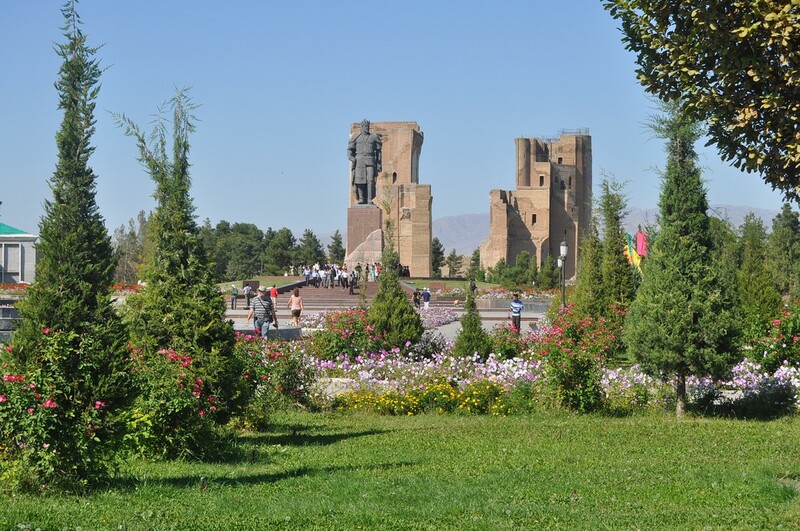 The small city Shakhrisabz ("green city" from Persian) lies just 90 kilometers south from Samarkand, at the foot of the Gissar and Zarafshan ranges, at the confluence of the Aksu and Tanhoz rivers. This is one of the oldest cities in the world; according to some facts, human settlements had been existing by 1700 BC. on this place. The phalanxes of Alexander of Macedon marched here, the satrap of Bactria Bess was captured, anti-Arab movements arisen and the caravans of the Great Silk Road passed here. 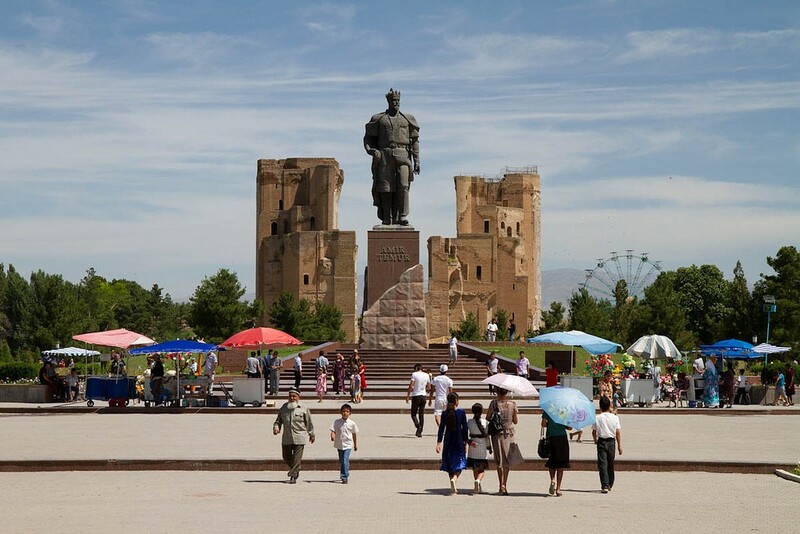 The ancient Kesh, the birthplace of Amir Temur and the former "home residence" of the Timurids was, probably, greater and richer than Samarkand. Few monuments of history remained in the city, but they are all unique or have tremendous historical value. 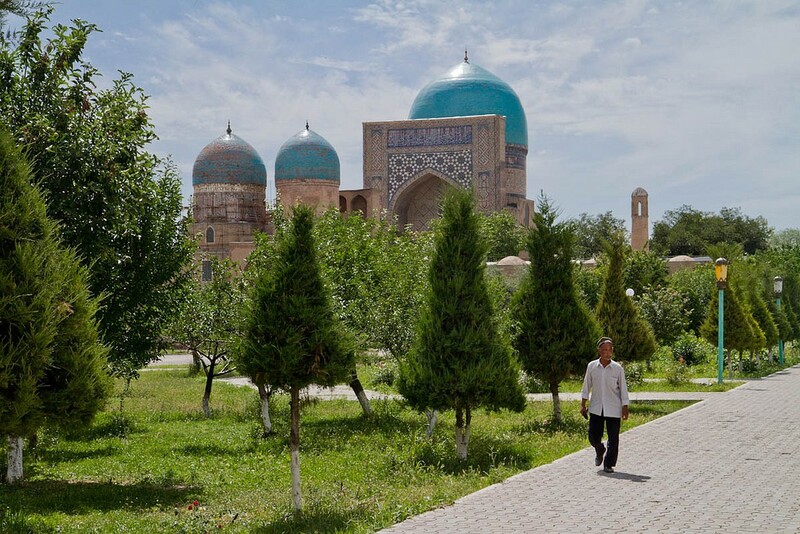 The sights of Shakhrisabz are: the palace of Timur - Ak-Saray (White Palace, 1380-1404), which was largely destroyed, but has been recovering rapidly. Besides large gate 40 meters high, you can see the magnificent filigree mosaic and unique patterns on the technology of neat work, on which we can judge what a magnificent huge summer residence was. (the sons of Timur), and in scale and decoration it is comparable to Ak-Saray. The places of worship in the city are also: ensemble Dorus-Tilyavat ("Blue Mosque", XIV century) - the mausoleum of Timur's pir Shamsiddin, Kulol, the elegant mausoleum Gumbazi-Seyidon (XVI century, the descendants of Ulugbek are buried here). Our city tours also includes visits to jami Kok-Gumbaz (1435), Khazrat -Imam Mosque (XIV century) and the cenotaph of Tamerlane himself (he was buried in Samarkand, but the mausoleums of the relatives of the great conqueror are here).